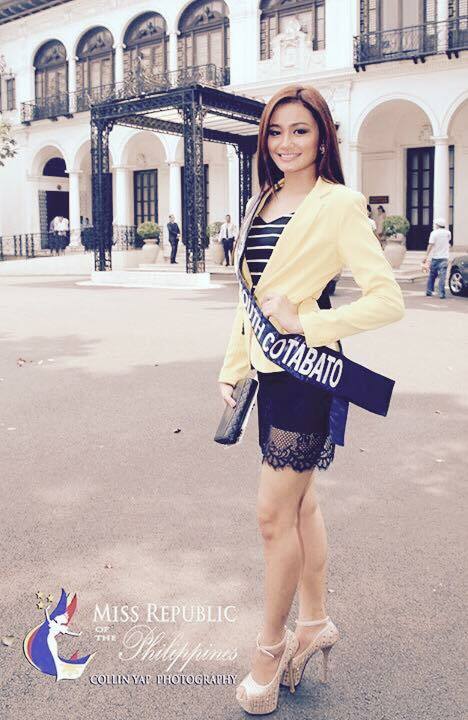 A 20-year old beauty is representing South Cotabato in this year's Miss Republic of the Philippines in the person of Randea Anne Braza Cabalfin. Randea, who hails from Brgy. Upper Klinan in Polomolok is among the thirty-five (35) lovely candidates coming from all over the Philippines and Filipino communities abroad. See her pictures below. The grand coronation night of Miss Republic of the Philippine 2015 is slated on November 6 where five (5) winners will be selected with corresponding titles namely; Miss Republic of the Philippines 2015, Miss Republic of the Philippines - International, Miss Republic of the Philippines - Luzon, Miss Republic of the Philippines - Visayas and Miss Republic of the Philippines - Mindanao.